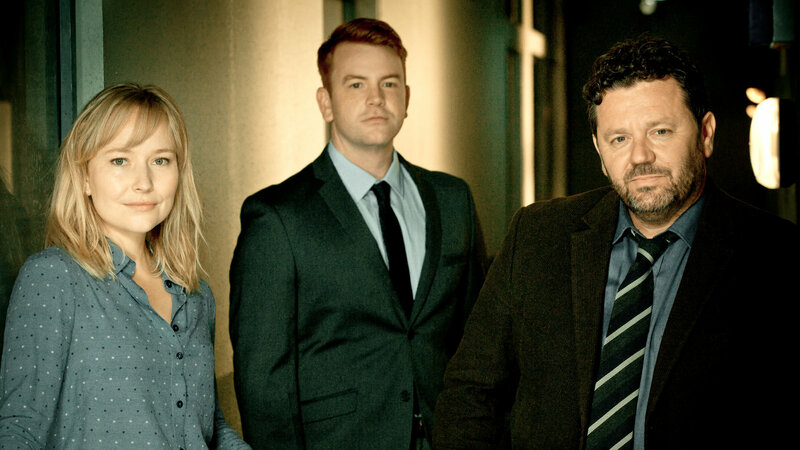 New Zealand's equivalent to Midsomer Murders, The Brokenwood Mysteries, returns to tv channel Drama on 23 November. This is the fifth series, and I believe, like the others is four episodes long. You can watch previous episodes via the Drama homepage. If you want to watch them in HD - the Drama channel is SD only - then HD copies can be purchased via Amazon Prime Video. They are currently £8.99 a series. This price does fluctuate - I bought series 4 a few days ago at £4.99. On the face of it, Brokenwood is another quiet, country town in New Zealand, the kind you might find just a few hours drive from any city. The people are pleasant and there's a strong sense of community. It has a golf club, regular wine shows, everything you would expect... and a few things you wouldn't, like buried secrets, treacherous lies and fiendish murders. DI Mike Shepherd (Neill Rea) and DC Kristin Simms (Fern Sutherland) are on hand to investigate these small-town crimes in big-sky country.